Mattamy Homes RiverTown has opened six new decorated model homes at the community. The new models were recently unveiled at RiverTown’s Big Reveal Grand Opening Celebration, which was attended by a record-breaking 3,500 visitors. Mattamy Homes RiverTown is the only new master-planned community in St. Johns County along the St. Johns River. Residents enjoy miles of trails that wind along the riverfront and a scenic riverfront park for walking, fishing, bike riding or relaxing by the water. The RiverHouse Amenity Center includes a junior-sized Olympic pool and a kid-friendly zero-entry recreational pool with corkscrew slide. There are three Har-Tru lighted tennis courts, a state-of-the-art fitness center, social clubhouse and play fields. The amenity center has indoor and outdoor entertainment spaces and there is a social director who plans activities and social events. RiverTown has a kayak launch and a baseball complex with four diamonds, batting cages and pitching facilities. 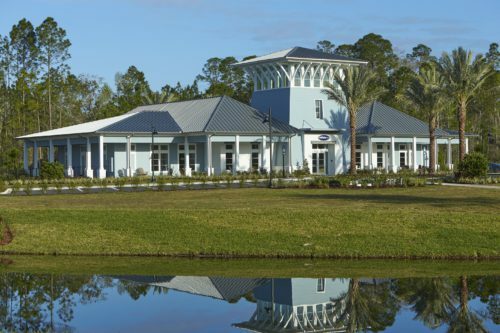 Mattamy Homes RiverTown recently introduced The RiverClub, the community’s new state-of-the-art $6 million amenity center located directly on the St. Johns River. Opening in late 2017, the amenity center will include a 5,100-square-foot clubhouse, a luxurious pool, river boardwalk, children’s playground, second kayak launch, event lawn and more. 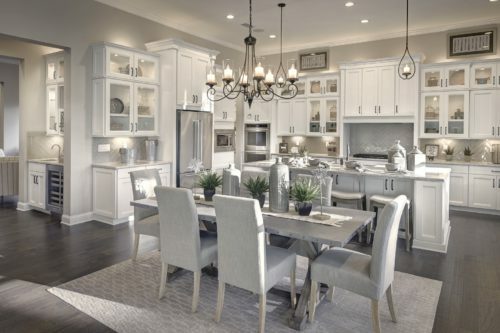 The model homes at RiverTown range in size from 1,700 square feet to more than 3,500 square feet and feature open and bright floor plans with spacious front porches and covered lanais to enjoy the community’s naturally beautiful setting. Homes at RiverTown showcase Mattamy’s signature design style coupled with distinctive architectural features, making every square foot completely functional and aesthetically brilliant. More than 30 home designs, including new floorplans and homesites, are available at RiverTown and priced from the $240,000s. Mattamy’s Architect’s Choice Options offer homebuyers selections to modify Mattamy’s plans to best address the needs of their individual preference and lifestyle. The company’s personal Design Consultants offer expert professional advice and guide homebuyers through the countless home selections available in its Design Studio. Located near Mattamy’s six new decorated model homes, the RiverTown Welcome Center is a perfect first-stop for visitors to the community. It is fully staffed, offering information on RiverTown’s neighborhoods, home designs, amenities and the community’s lifestyle. 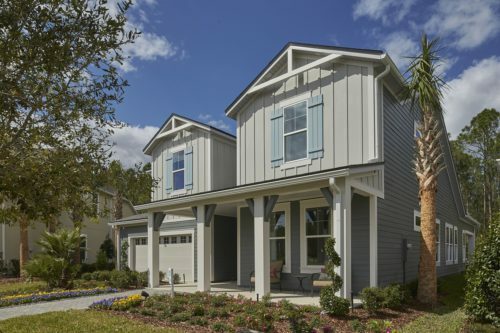 In addition to RiverTown’s natural setting, world-class amenities and award-winning homes, homebuyers are drawn to the community’s location within the highly-regarded St. Johns County School District. The RiverTown Welcome Center is located at 90 Lanier St. in St. Johns. To visit the RiverTown community, travel Interstate 95 to County Road 210 West to Greenbriar Road and turn left at Long Leaf Pine Parkway. The Welcome Center is located on Long Leaf Pine Parkway just past Bartram Trail High School. Visitors can also take I-295 to San Jose Boulevard South, turn left onto Greenbriar Road and then right on Long Leaf Pine Parkway. For more information, visit, www.MattamyRiverTown.com.